British sitcom to film adaption have done quite well in the past, The Inbetweeners and Alan Partridge: Alpha Papa being the most recent examples, and now it’s the turn of one of most successful Britcoms in history with Jennifer Saunders and Joanna Lumley reuniting once again for Absolutely Fabulous: The Movie. 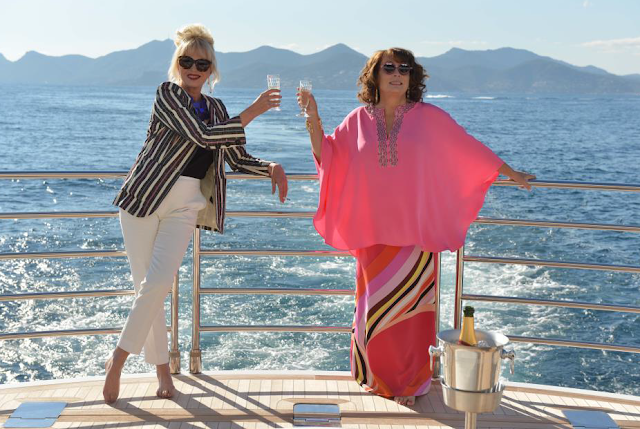 The pair step back into the shoes of comedy icons Edina and Patsy, as the hard drinking, fad chasing pair go on holiday to the French Riveria. They will be joined by the rest of eth original cast, including Julia Sawalha, Jane Horrocks, and June Whitfield. Filming has begun on location in the U.K. and the south of France, with the movie set to be released sometime in 2016.